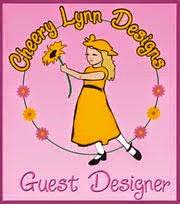 Welcome back and Nancy Hill for Frantic Stamper Design Team. 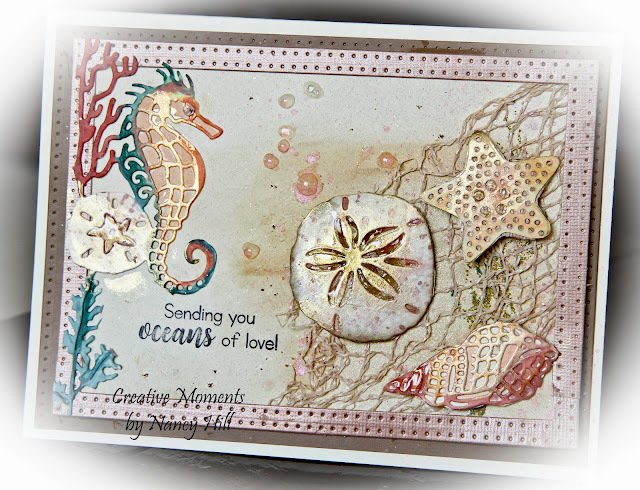 You will want to see the gorgeous coordinating dies and stamp sets in the 2017 Frantic Stamper Under The Sea Fantasy as well as 2016 coordinating aquatic fish and sea creation dies and stamps sets in the 2016 Frantic Stamper. 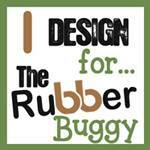 I used the sentiment found in the new Frantic Stamper Under the Sea Mermaid stamp set. I cut out sections of the Frantic Stamper Sea Horse Edger Right and colored the sea horse and sea shells with Copic markers and NUVO Mousse colors. The large sea shell is from the Frantic Stamper Sand Dollar and Jelly Fish die set that was colored with NUVO Mousse Mother of Pearl for the added shimmer. I added NUVO Crystal Glaze drops to the center of the card.